It’s at about this time of year that we start to see many clients visiting us for advice on how to treat calves with diarrhoea, but did you know that most outbreaks of calf scours could be avoided altogether with good calf management practices? Most requests from farmers are for antibiotic treatments aimed at destroying the agent that has infected the calf. Not only are these ineffective against viruses and protozoa, the agent is not the only factor in the disease outbreak. If the other two factors (i.e. host and environment) are adequately managed then there becomes no need for expensive antibiotic therapy. Lets look at how we can manage these other factors. Calves need a strong immune system to fight and destroy infectious agents it comes into contact with. Unfortunately, a calf is born without any immunity to the bugs in its environment until it develops its own immune system at around 30 days old. To overcome this problem, it must receive immunity from its mother in the form of antibodies in colostrum. The calf can only absorb these antibodies in the first 12 - 24 hours of its life - after that it is too late! > A colostrum bank should be used for this purpose. Only use first milking colostrum that has been measured with a Brix Refractometer as being good quality. Cows that are vaccinated (7in1, Salmonella,Scourshield) and are in good body condition score (BCS 4.5-5.5) produce better colostrum. The calves are going to have a much better chance of fighting off infection if they are strong and growing well. Adequate nutrition will ensure the calf can grow and develop but also needs to target the developing rumen so that it can continue to do well after it is weaned. Environment This is where the calf comes into contact with the agents. 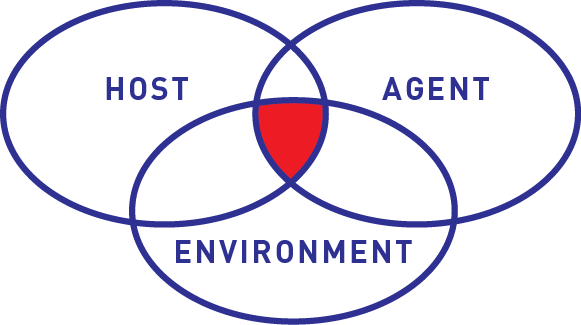 The environment can be broken into two areas – calving and rearing. It is important that both these areas have as little contamination by the agent as possible to minimise the chance that the calf will become infected. Cows should calve down in clean, dry areas. Prolonged calving/dystocia will reduce the calf’s chance of survival. Calves left in cold, muddy paddocks are more likely to not receive colostrum and are more likely to be exposed to infectious agents. Both healthy and sick calves shed bacteria, viruses and protozoa that cause diarrhoea in their faeces. If there is heavy contamination of these infectious agents in the area where the calf is to be reared, it creates a much higher risk of succumbing to disease. 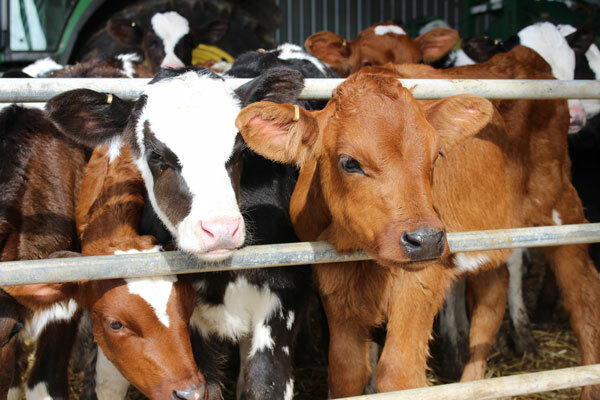 Some agents can survive in the environment for over a year given the right conditions and provide a source of infection to calves entering the shed the following year. Likewise, during the rearing season, bedding will get contaminated. Deep litter bedding will make the ground very warm and actually kills most bacteria and viruses. It is important to maintain strict levels of hygiene. Have deep litter bedding that drains well e.g. rice hulls Calves should be only allowed contact with other calves of a similar age/immune status. An “all-in all-out” system should be adopted in the calf shed to minimise contamination and exposure. Densely packed calf rearing sheds increases the amount and risk of contamination therefore there will be more exposure challenge. If calves are kept warm and dry they will 10% faster. High levels of ammonia in the air can cause pneumonia in calves. If you can smell ammonia in the shed then ventilation is not adequate. There should be good ventilation high above the calf, ideally a gap between the walls and the shed roof on the side opposite the open face. Consider a north-facing shed to avoid weather extremes. In summary, we can only eliminate certain infectious agents with antibiotics but can have much more success in controlling calf scours if we manage the host and environment well. Ensure calves are fed at least 4L of good quality colostrum in the first 12hrs of life, collected from a clean calving area and moved to a warm, ventilated and hygienic calf shed, where it is fed a nutritious diet.